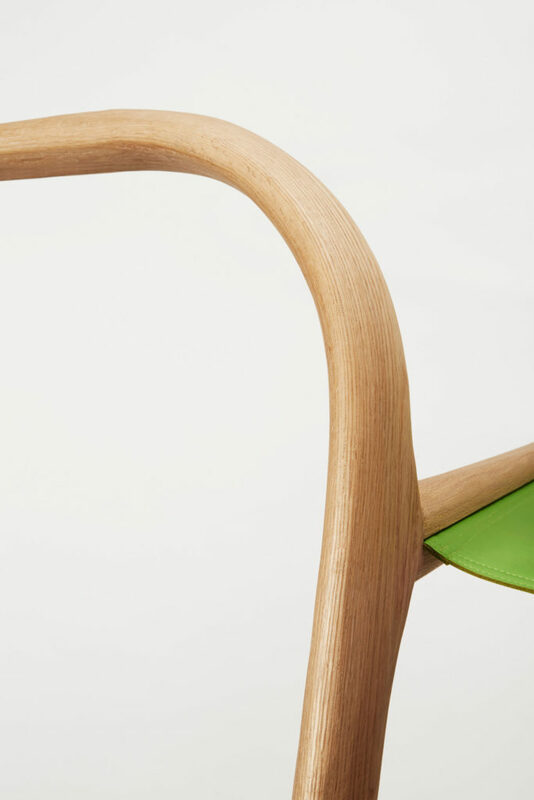 The project was designed to foster collaboration between an established designer, an emerging talent and a specialist timber manufacturer. 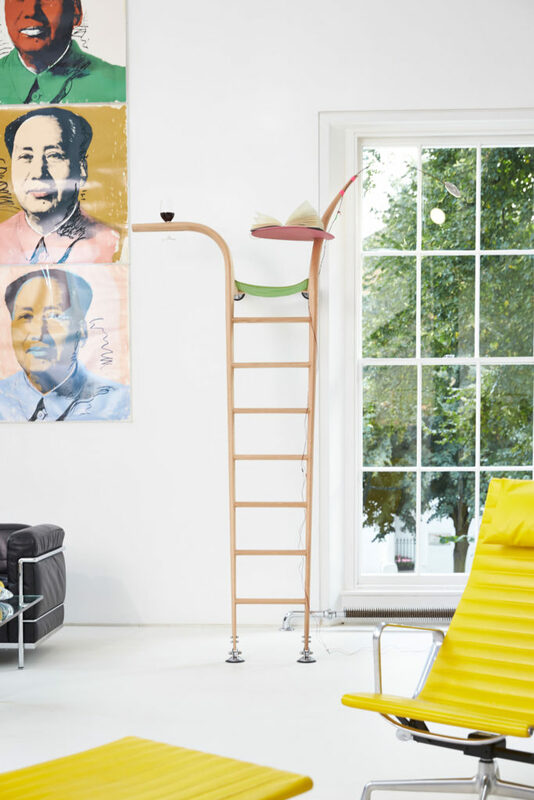 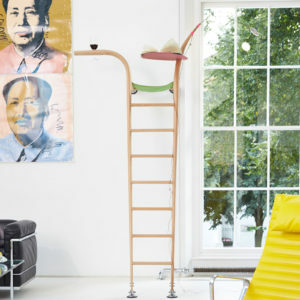 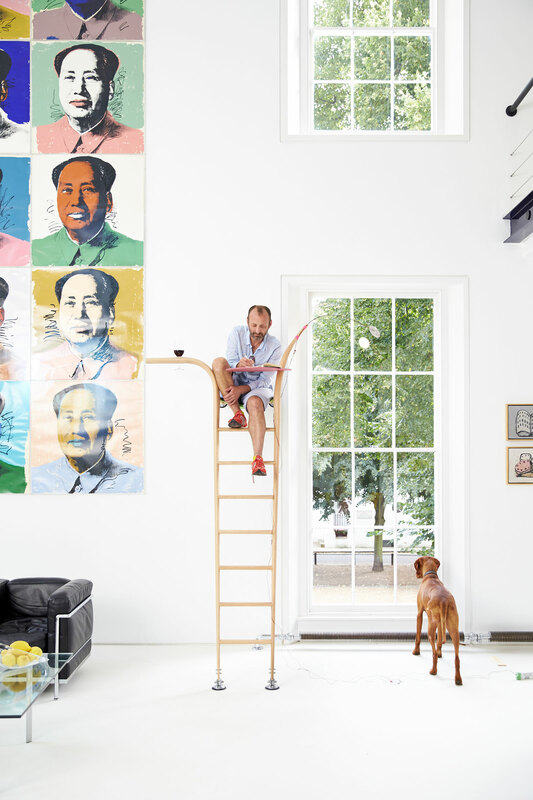 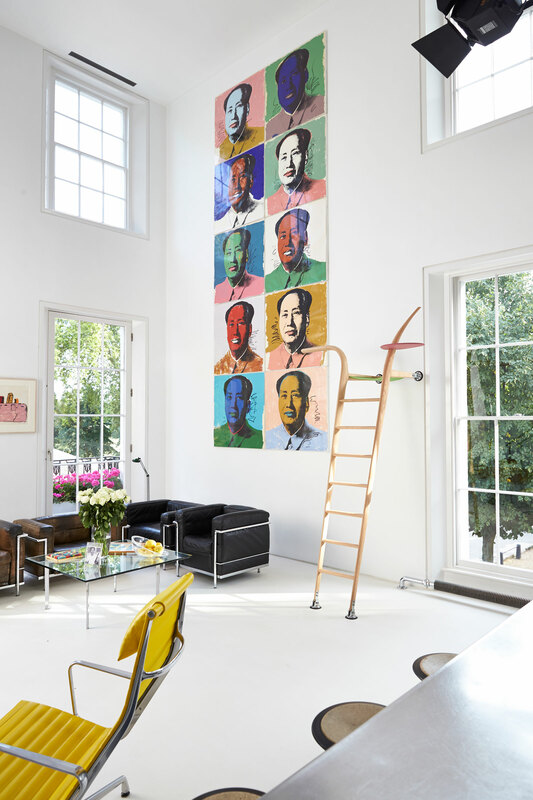 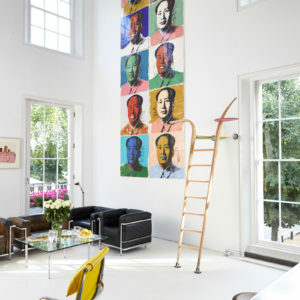 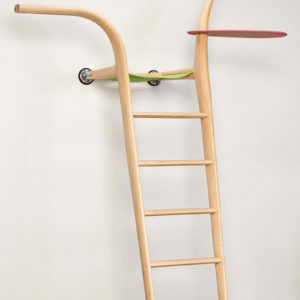 In response to this challenge issued by Terrance Conran, Ab and Richard Rogers, working together with Xenia Moseley, opted to design a ladder that helps one to explore the lost corners of a room, offering a perch for writing, for looking out, for drinking – even for dozing – a spot from which to wonder and wallow. 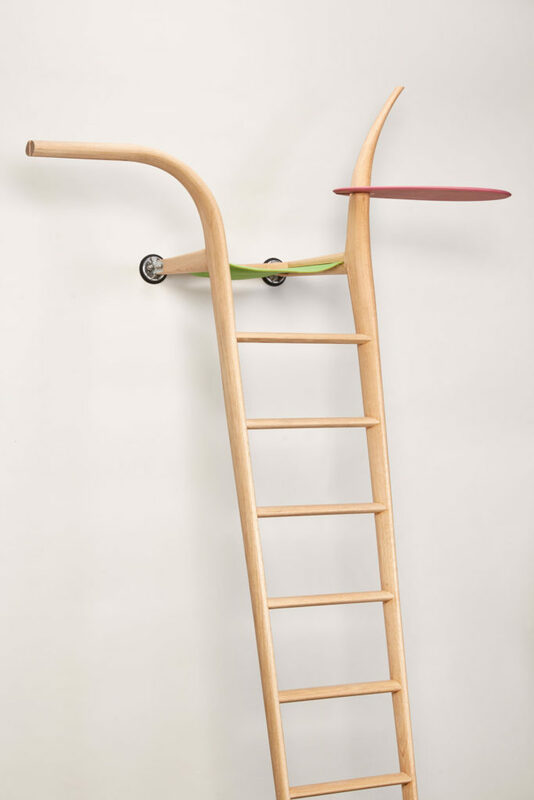 The result was steam bent oak ladder, designed to borrow structure from the existing architecture of its environment and relying upon the friction at work between wood, the floor and wall to maintain its tension. 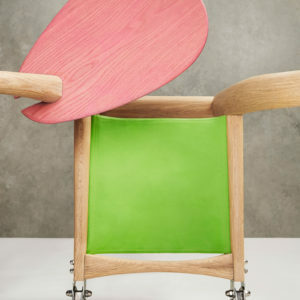 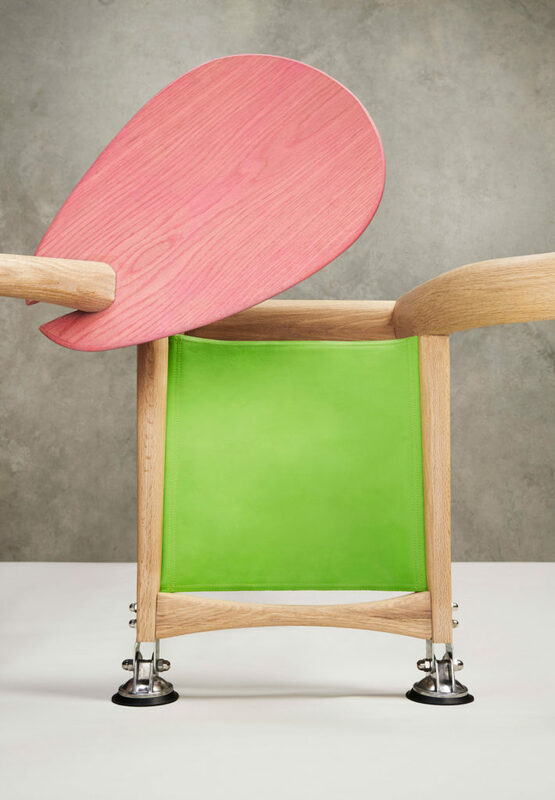 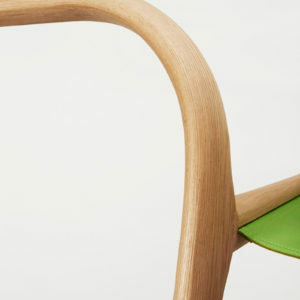 In addition to the main body of the ladder, the structure featured an elegant curved arm/drinks rest, a slung seat in vibrant green leather and a moveable side table in pink stained American oak, leaving the final function whether eating, drinking, working or day dreaming – up to the discretion of the occupant.